An instrumental accessory in limiting user data entry error and ensuring patient safety, the linear barcode scanner comes standard with the Euclid® Vantage™ Software package and the purchase of a Euclid® machine. The software includes 18 different linear barcode types based on hospital and pharmacy specifications and its quality labeling feature works with multiple styles of packaging used by hospitals, long-term care facilities and third-party re-packagers. 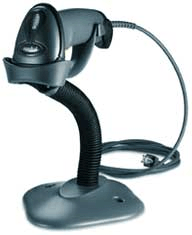 The linear barcode scanner is included with purchase of the Cadet®, Cadet Twin®, Cadet Twin 2×2® and Speedy Wet Cadet®.